Family background: His parents died from HIV/AIDS when he was six years old. He has two elder sisters and an elder brother. Three of them are married and working. His brother used to come to see Jagadeesh but stopped coming since he got married. Jagadeesh doesn’t like the family because they don’t care for him. They don’t even invite him for vacations. Hence he likes to stay in the children’s home even for holidays. Considering his family background, we had to keep him in the home and send to college. 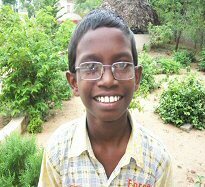 Education progress 2016: Jagadeesh is about to complete year 3 in Polytechnic after successfully securing ‘A’ grade in 10th class final exams. He has joined in Bapatla Polytechnic College in Mechanical branch which is a three years course. In these three years of Diploma, he obtained 95% marks. After completion of three years, he is eligible to upgrade to Engineering 2nd year or to get a job. 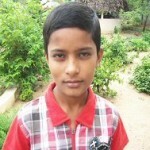 He likes drawing, reading, dancing and outdoor games like cricket, kabadi and volleyball. In the High School, he won several certificates in Drawing competitions and essay writings. 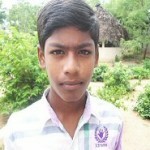 In the home, as a senior boy, Jagadeesh helps other boys in getting ready to school and related activities. Family background: Sampath’s parents died of Jaundice seven years ago. He has an elder sister and an elder brother. His sister is married and working in a cloth shop. His brother also recently married and is working as a Barber since they belong to this particular community. His grandfather died of a heart attack last year. He used to be visited by a distant uncle who is working in a bank but he got transferred to a neighbouring district hence he could not come to visit Sampath anymore. His sister never comes to see him. His brother and an aunt come to see him occasionally. 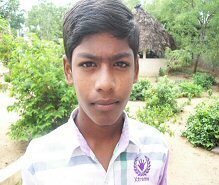 Education progress 2016: Sampath passed 9th class in ‘B’ grade in final exams. He is an average student but trying hard to improve for the next class. He goes to Municipal High School in the town by a bicycle provided by Hearts. This year he will come to 10th class which is a public examination. He likes drawing, dancing and games like kabadi, carom board and cricket. In the school he received a certificate and dictionary for the participation of planting trees. Family background: Bhagya Laxmi’s father left the house and mother died of Cancer when she was a small girl. In the family they are four girls and one boy. 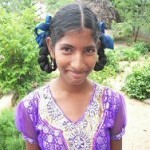 She and her brother Bala Krishna are staying in the children’s home. Considering their family circumstances, Hearts agreed to look after them both. One of the elder sisters is married and died last year. Bhagya Laxmi is visited by her two sisters whenever they can. They go to work for their living. In the recent floods, their house collapsed. At present her sisters are living in a small hut which was built with donations from the community. 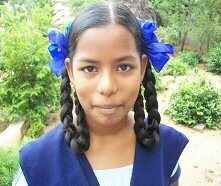 Education progress 2016: She has passed 8th class in ‘A+’ grade in the final exams. In the units and half yearly exams she scored from 95% to 98% marks. 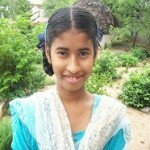 Bhagya Laxmi is a brilliant student in the entire class. This year she will be studying English. She likes reading, drawing, dancing and games like skipping, coco and badmington. In the school she won several prizes for studies in ‘A’ grade, essay writings and talent competitions. Family background: Bala Krishna’s father left the house and mother died of cancer when he was a small boy. In the family they are four girls and one boy. 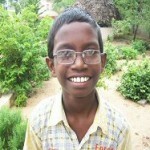 He and his sister Bhagya Laxmi are staying in the children’s home. Considering their family circumstances Hearts agreed to look after them both. One of the elder sisters is married and died last year. Bala Krishna is visited by their two sisters whenever they can. They go to work for their living. In the recent floods, their house is collapsed. At present their sisters are living in a small hut which was built with donations from the community. Education progress 2016: He has passed 8th class in ‘A’ grade in the final exams. He studies well but due to his interest in sports he got less marks in the units and half yearly exams. This year for class 9th he will be going to high school in the town. He will also be studying English. He likes drawing, dancing and games like cricket and kabadi. In the school he won several prizes for sports and cultural activities. In the children’s home he performs well in any drama or cultural programmes. He is a helping hand for other children in the home. Family background: Dinesh’s father left the house nearly 10 years ago. His mother runs a small Tiffin centre left by the father. The family came to know that the father died of tuberculosis last year. 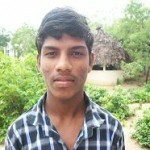 Dinesh has an elder brother who is working and a twin sister who has at present discontinued studies. She used to stay in the children’s home but left because her mother wanted her to work. Dinesh is visited by the mother and brother occasionally. Education progress 2016: He has passed Intermediate and scored 7.5 points out of 10. He is an average student but trying to improve in college studies. In 2013 he attended 10th class and passed in all subjects. He took the group MPC (Maths, Physics and Chemistry). This year he is studying Degree (graduation) 1st year with the same subjects. After completion of degree studies, he will be eligible to study university or to get a job. He likes reading and playing games like cricket, kabadi and carom board. He won several prizes for essay writings on national leaders. Family background: His father died from jaundice 10 years ago. His mother works as a daily labourer. He has an elder brother who has discontinued studies and working due to mother being unwell. The mother and brother live in a small hut beside the canal. Chenna Kesavulu is visited by the mother occasionally. Education progress 2016: He is a brilliant student in studies and studying English. He has scored 95% marks in the final exams of class 9th. This year he is studying 10th class and will be writing public exams. He has good handwriting and is a role model for students in the school and children’s home. He likes reading, drawing and games like kabadi and coco. In the school he won several prizes for essay writings and cultural activities. In the children’s home he participates in activities i.e planting trees, saving water and energy. Family background: Jhansi’s parents are daily labourers. Her father goes to building mason work and mother goes to agriculture works. She has an elder brother studying at home. They live in a small hut in Bapatla town. 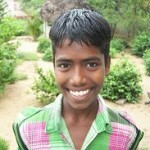 Jhansi’s parents are very poor and often migrate to neighboring districts to work. 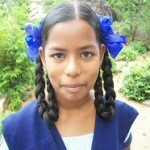 Jhansi likes to study and continue education. Her parents also like Jhansi to study unlike them. Her mother comes to see Jhansi whenever she can. Education progress 2016: Jhansi passed 8th class in ‘B’ grade in the final exams. She is an average student in studies but showing interest to improve. She finds English medium difficult this year because until last year she studied Telugu (mother tongue) medium. She will be studying 9th class this year in English. She likes reading, drawing, dancing and playing games like skipping and carom board. In the school she participated in science exhibition and won a prize and certificate. In the children’s home she participated in cultural programmes. Family background: Esther’s mother died when she was a small girl. She has a younger brother who was given for adoption at the age of six months. Then the father left the house and married someone else. Esther was left with her great grandmother who is very aged and could not go to work. Esther is happily staying in the children’s home. She is loved by everyone. Her grandma comes to visit her whenever she can. Recently a distant uncle is also coming to visit her. Education progress 2016: Esther passed 7th class in ‘A’ grade in the final exams. She is a brilliant student. Since she joined the children’s home in the year June 2009, she is always coming first in her classes. Even though she studied Telugu medium until 2012, she picked up greatly to study English in 2013. This year she will be studying 8th class in English. She likes reading, drawing, dancing and games like coco and carom board. In the school she won several prizes and certificates for essay writings and cultural programmes. Family background: Rafi’s father is an invalid who is suffering from haemophilia. 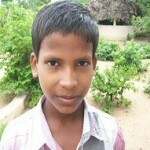 His mother is a daily labourer who works at a limestone factory. He has a younger brother studying at home. His mother has lot of burden to look after the family since the father needs medication very often. Rafi’s parents cannot come to see him but speak to him over telephone. His grandmother visits him whenever she can. Education progress 2016: Rafi passed 9th class in ‘B’ grade in the final exams. He studies well but at the time of exams he gets nervous. He is studying English and goes to Municipal High School in the town. This year he will be studying 10th class. He likes reading, drawing and games like cricket, kabadi and coco. In the school he won a certificate for essay writing on International Environment Day. In the children’s home he likes to do gardening on Sundays. Family background: Prasanthis’s father is a drinker and never cares for the family. A few years ago he left the house and came back recently. Still now he is torturing his wife and children. Her mother is a daily labourer who works at the local market. The mother is suffering a lot by physical abuse of the father. Prasanthi has two younger sisters who are staying with the mother. Her father never comes to see her at the children’s home. Her mother visits her whenever she can. 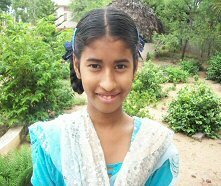 Education progress 2016: Prasanthi passed 10th class in ‘A’ grade in the final exams. She is a brilliant student in studies. She always secures more than 95% marks. This year she will be studying Intermediate 1st year and writing public examinations in English. She likes reading, drawing, dancing and games like skipping, coco and carom board. In the school she won several prizes for essay competitions. She also won a certificate and prize in the science exhibition. In the children’s home she participates in cultural programmes and likes to do gardening on Sundays. Family background: Sujit’s mother died from tuberculosis when he was a small boy. His father then left the house and married someone else. 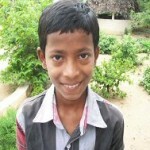 Sujit has an elder brother who is also staying with him in the children’s home. For several years his father did not care for the family. Very recently he has started communicating with the boys. His grandmother comes to visit Sujit whenever she can. 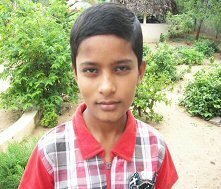 Education progress 2016: Sujit passed 6th class in ‘A’ grade in the final exams. 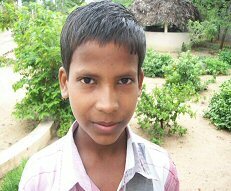 He has much improved in education because of children’s home regular tuitions. This year he will be studying 7th class in local Government elementary school. He likes drawing; dancing and games like carom board and cricket. In the school he won several prizes for sports and cultural programmes. Family background: Sandeep’s mother died from tuberculosis when he was a small boy. His father then left the house and married someone else. 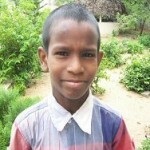 Sandeep has a younger brother who is also staying with him in the children’s home. For several years his father did not care for the family. Very recently he has started communicating with the boys. His grandmother comes to visit Sandeep whenever she can. 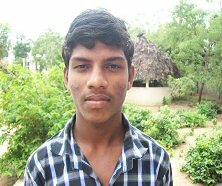 Education progress 2016: Sandeep passed 7th class in ‘A’ grade in the final exams. 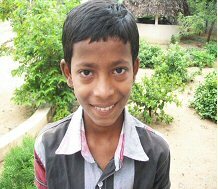 He has much improved in education because of children’s home regular tuitions. This year he will be studying 8th class in local Government elementary school. He likes drawing; dancing and games like coco, kabadi and cricket.